Site was free years ago when I was doing my research. Now charges a fee to see information. I include the following video to allow you to become familiar with the lies we have been fed regarding the IRS. I, IN NO WAY, ENCOURAGE YOU TO CEASE PAYING YOUR INCOME TAXES. WHY? BECAUSE UNDER THE PRESENT CONDITIONS PEOPLE GO TO JAIL OR HAVE TO GET INVOLVED IN EXPENSIVE LEGAL ACTIONS. CHANGE IS COMING! We, as Americans, do need to understand what has been happening in our country and why major changes are essential. IRS FRAUD: THERE IS NO LAW THAT REQUIRES YOU TO FILE A #1040! 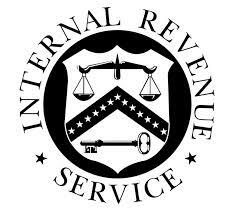 I’ll let the reader research the relationship of IRS with the Federal Reserve.